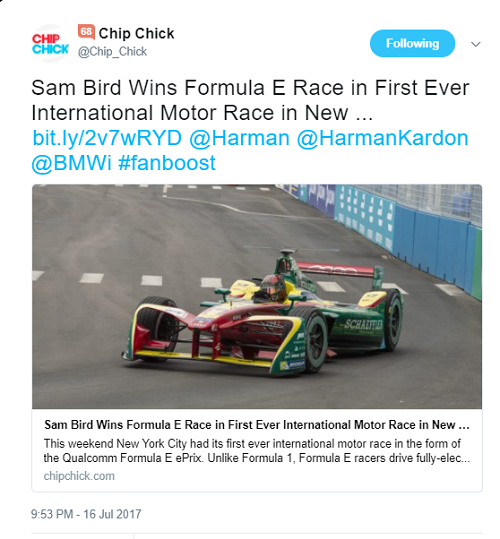 We’re still tingling with excitement following the recent NYC ePrix Formula e race in Brooklyn. 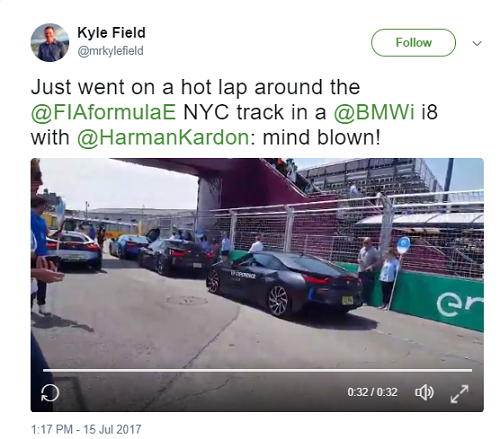 Harman Kardon’s sponsorship of Formula e team MS Amlin Andretti alongside BMW is a great platform for us to show our commitment to the future of mobility, and it’s opening new doors for Harman Kardon to reach audiences in a different way. 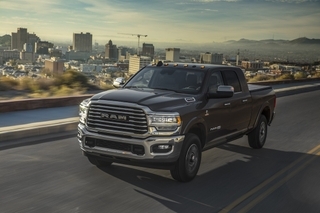 The first motorsports event in the history of New York City called for a special celebration. 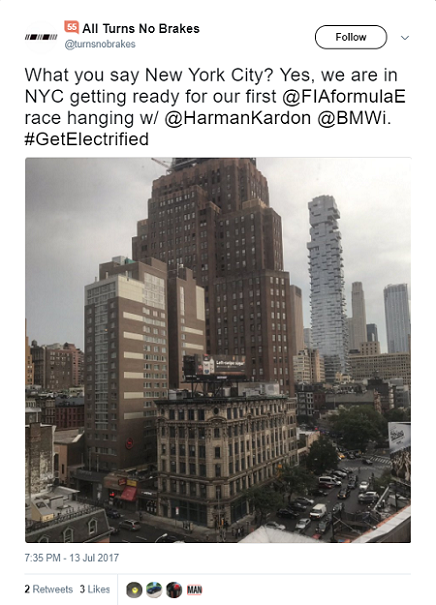 As a brand, Harman Kardon is all about style and sophistication – so what better place to celebrate this inaugural race and our longstanding collaboration with BMW than the city that’s eponymous with cool? 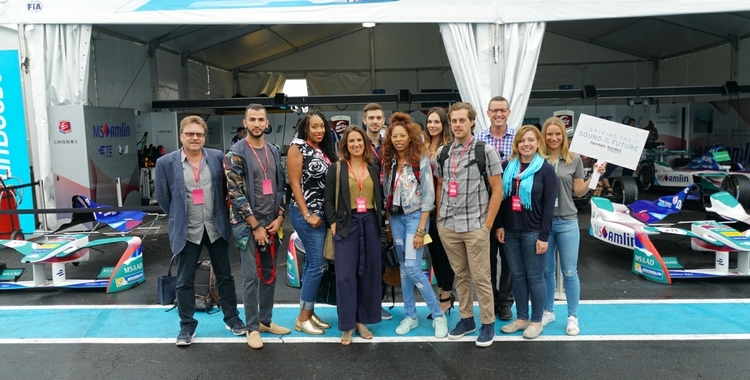 We invited eight bloggers and online influencers with interests across automotive, technology, style and sustainability to join us for a Formula e-themed New York weekend and hosted them in true Harman Kardon fashion. 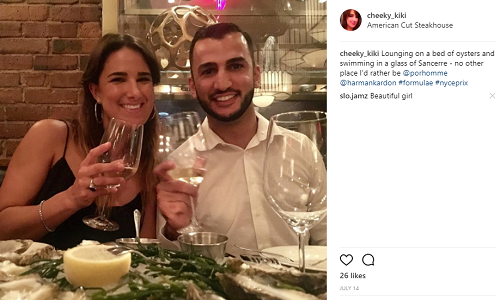 Our guests took their online followers along for the ride, and rather than reiterate what transpired over the weekend, we decided to share a recap from their perspectives! 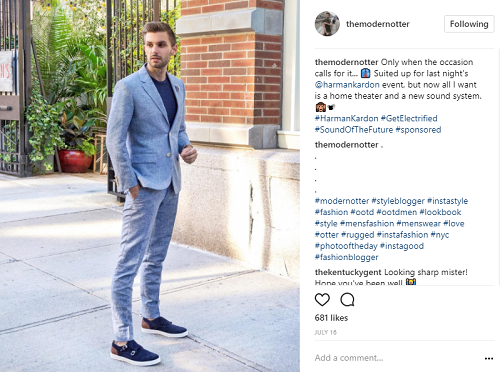 It was a hot and muggy day when our influencers arrived in Manhattan and checked into the trendy Soho Grand Hotel. By the time everyone was settled in and getting to know each other over cocktails, the summer rain couldn’t dampen the electric anticipation in the air! 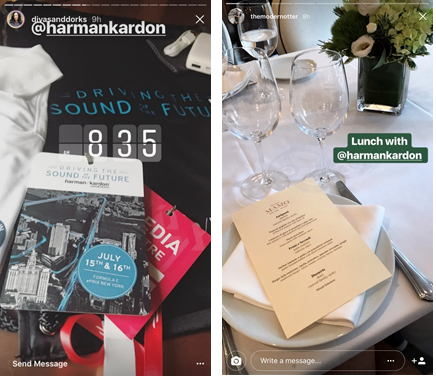 The next morning, everyone received their VIP passes to the track along with some great Harman Kardon goodies before enjoying a fabulous group lunch. Then we set off for Red Hook, Brooklyn were the street race course was set up. The group was treated to private pit lane access, a behind the scenes garage tour and a meet and greet with Team Andretti. We learned some amazing facts -- including that the Formula e BMW i8 safety car is capable of going from 0 to 100 km per hour in 4 seconds! Later that night our guests and HARMAN Car Audio hosts – including Mathias Brand, Senior Director of Marketing for Car Audio and the architect of the Formula e partnership with BMW – hit the town for a classic New York steakhouse dinner. The next day, Saturday, was race day! We were joined at the hotel by Bill Wyman, VP of Global Marketing for Car Audio, and we set off for the track. 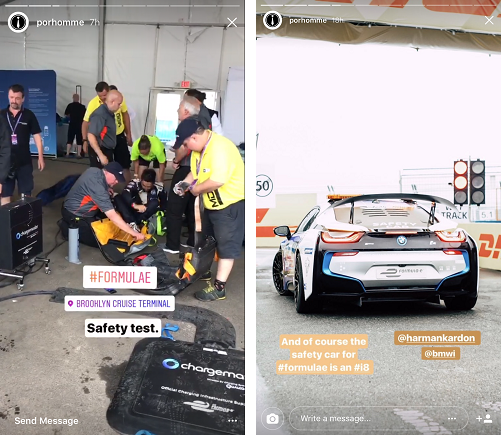 After getting settled in our VIP Harman Kardon race suite, we kicked off the excitement with a hot lap in the BMWi8, the same model as Team Andretti’s safety car. In between qualifying races, our own audio guru, Jonathan Pierce gave demos of the premium Harman Kardon systems inside the BMWi3 models. As our guests will tell you, hearing is believing! Before we knew it, it was time to raise the green flag to start the race. Crowds of people flooded the bleachers and cheered as the Formula e race cars zoomed by. One of our guests, professional photographer Kaycee Landsaw snapped tons of cool action shots of the race like the one below. While the MS Amlin Andretti team didn’t make it to the podium, it was a winning day for the future of sustainable transportation. The Formula e series continues to raise the profile of electric vehicles and change people’s conceptions about clean energy, power and performance. That night, our media and influencer guests joined us in toasting our partners and Team Andretti at a special celebration at the HARMAN Flagship store in midtown Manhattan. Everyone dressed to impress and had a fantastic time. 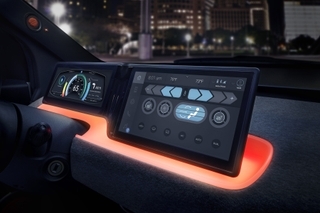 Michael Mauser, Executive Vice President and President, HARMAN Lifestyle Audio, was our host for an evening of music, socializing and celebrating the future of mobility. Presenter and pit-lane reporter for ITVs FIA Formula E Championship Nikki Shields moderated a panel around the significance of Formula e that included Michael Andretti, the owner of MS Amlin Andretti, Joerg Reimann, the Head of BMW Group Brand Experience, Niall Treacy, Head of Commercial Strategies for Formula e and our own VP of global marketing for car audio, Bill Wyman. The Team MS Amlin Andretti drivers also took to the stage to share their thoughts on the day and mingled with the party crowd. The Boomerang style photo booth was a big hit at the party. Everyone got in on the action! 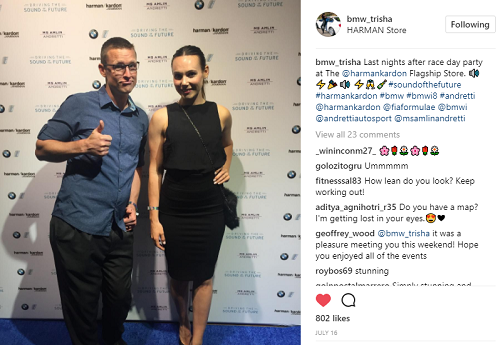 Our influencer guests, Kyle Field, Christen Rochen, Tam Walker, Trisha Cuddy, Kaycee Landsaw, Aaron Wester and Atif Kazim came away with an appreciation of HARMAN’s approach to delivering exceptional experiences that translate from the home to the car and everywhere in between. 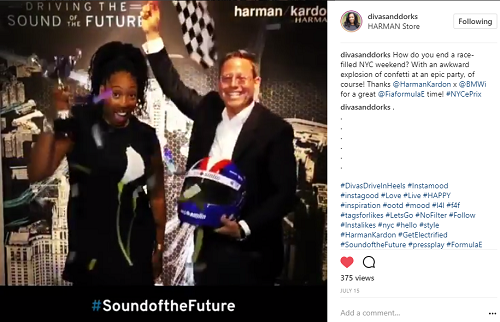 We’re glad to have them help us tell the Harman Kardon story through their unique lens, and hope it inspired more enthusiasm about a clean energy future.